St Chad’s College Lecture, Thursday 18 October 6.00-7.00pm, Williams library. ‘The Comprehensive University: why we need to rethink academic selection in higher education’, chaired by Professor Fred Robinson of Policy&Practice. In this hard-hitting paper, Tim Blackman, a serving Vice-Chancellor, calls for a much less hierarchical higher education sector. He shows how this will benefit students, the quality of learning and social mobility and, most importantly, he shows how to get there. Tim Blackman is Vice-Chancellor of Middlesex University and Professor of Sociology and Social Policy. His previous roles include Pro-Vice Chancellor and Acting Vice-Chancellor at The Open University and Head of the School of Applied Social Sciences and Director of the Wolfson Research Institute at Durham University. After leaving school he worked at sea for a year before undertaking a degree in Geography, a spell as a community worker in Belfast and a PhD on housing policy. 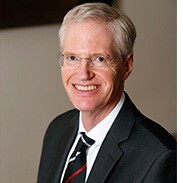 He started his academic career at the University of Ulster before moving into local government for five years and later returning to higher education as a Deputy Dean at Oxford Brookes University and subsequently Dean of the Faculty of Social Sciences and Law at Teesside University. He has written on urban policy, housing, social care and health inequalities, worked as a government adviser on the National Strategy for Neighbourhood Renewal, and is a Fellow of the Academy of Social Sciences.